The Ottawa Senators have waived Jonathan Cheechoo, which will likely result in him being bought out by the team before Thursday’s Free Agency kickoff. Cheechoo’s fall from an elite scorer was just as quick as the rise he had post lockout post Joe Thornton being traded to the Sharks. 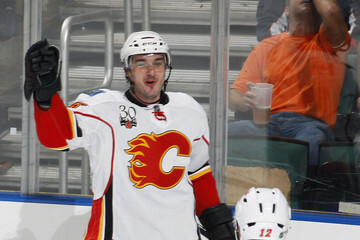 He went from a Rocket Richard winner in 2005-06 to being a piece in the trade that brought over Dany Heatley to a regular in the Ottawa press box and then all the way down to the NHL to finish the 2009-10 season. Cheechoo will not be signed for more than a one year deal, if he even is at all. But there has to be a team out there that thinks they have the playmaking centre that can help him rekindle the touch he had in the first two post lockout seasons. 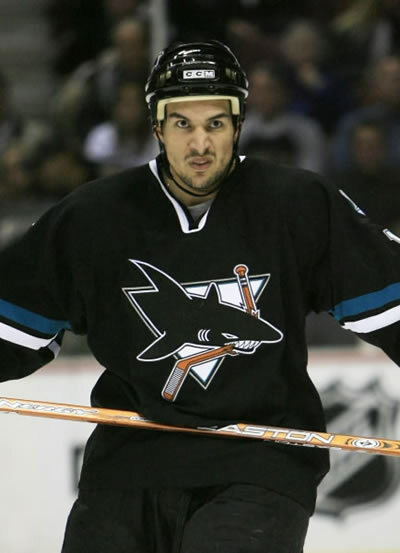 Cheechoo wasn’t just a guy who could put the puck in; he was a very hard worker that was capable of playing on any line in pretty much any situation. In the Sharks’ 2007 series with the Wings, he was easily their most dangerous and terrifying player. That is one thing I remember about him during that series; whenever the Sharks needed a boost, it wasn’t (and still isn’t) Marleau or Thornton, it was Cheechoo. The Hockey News has two great articles up right now on the recent NHL Entry Draft that any hockey fan should check out. The first is an edition of “The Hot List” by Ryan Kennedy, where he looks at the top draft day steals. He dives deep into this past weekend’as action to see which teams got the best bang for their buck. In another great edition of “Fantasy Pool Look”, Darryl Dobbs predicts the top 20 fantasy producers that will come out of the 2010 Draft. While the list is mainly a mash of the top 30 players picked (except for the Wings’ Jarnkrok: 51st overall), it definitely shows Dobber’s ability to forecast players upside and also takes into consideration their potential on the team that drafted them. The Dallas Stars have officially let Mike Modano know that they will not be offering him a contract for the 2010-11 season. Wasn’t this confirmed back in April when they played a goodbye montage for him during his last game in Dallas…. As if it wasn’t certain that Darryl Sutter’s time should be up in Calgary, Eric Duhatschek makes a great point about his recent decisions on Twitter. Kotalik was part of the deal that got rid of the stain named Olli Jokinen in Calgary. However, with Kotalik came his $3 million deal for the next two seasons. Jokinen is now an unrestricted free agent, so the Rangers are free of his contract. Kotalik’s best season came right after the lockout on the President’s Trophy winning Buffalo Sabres (25 g, 37 a). His other seasons (since 2002-03) have seen him with totals of 35, 26, 28, 43, 43 and 27 in his last year split between New York and Calgary. Did Sutter really have to burden the Flames just to get rid of burden that he had already put on them a season before? He only played 45 games with the Rangers!! Why would a team give up on a player so easily if he had anything left in the tank? 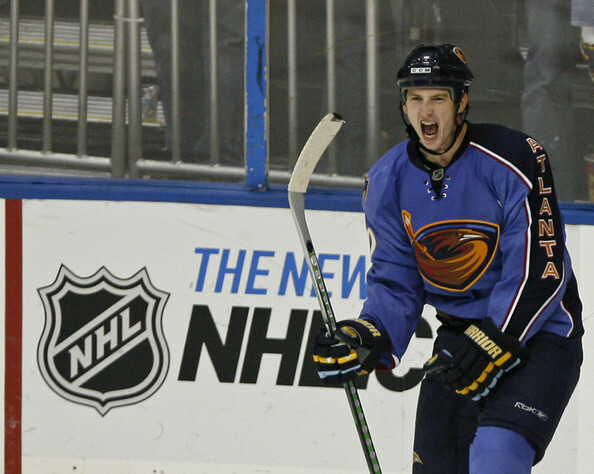 According to my favorite HockeyCentral host, Darren Millard, the Atlanta Thrashers offered Colby Armstrong a last minute deal he has decided to test free agency for the first time in his career. Armstrong made $2.4 million last season, but after his lowest point total in his career, it might be difficult to justify an upgrade. If he comes in around $2 million there should be a lot of takers for the fifth year pro. There is a contest on DobberHockey to guess where the free agents land starting Canada Day, so I will post those picks too.